Clemson Girl: Razzberry Fizz Lilly Pulitzer giveaway extravaganza! 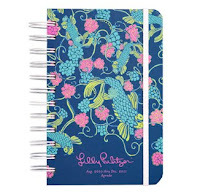 Razzberry Fizz Lilly Pulitzer giveaway extravaganza! Good morning ladies! We hope you're having a wonderful week so far - and today's post is going to make your week that much better! We are so excited to have yet another giveaway this week on the blog...this one is from the lovely ladies of Razzberry Fizz! Razzberry Fizz is an adorable gift shop nestled in downtown Clemson. Their motto is "Gifts that motivate, celebrate & encourage". 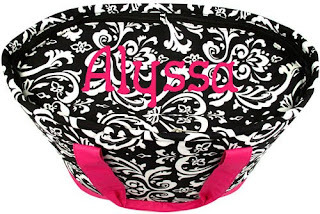 They sell a wide variety of items, most of which can be personalized! 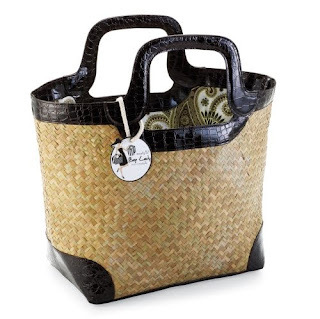 They carry lots of name brand gifts too, like Lilly Pulitzer and Jonathan Adler. If you don't live in the upstate, no worries, Razzberry Fizz has an awesome website that lets you shop (and still personalize) all of their items. I'm pretty tired of this blah cold weather, so I'm excited to see fun summery items showing up in stores - Razzberry Fizz has gotten in a new shipment of Spring and Summer goodies. 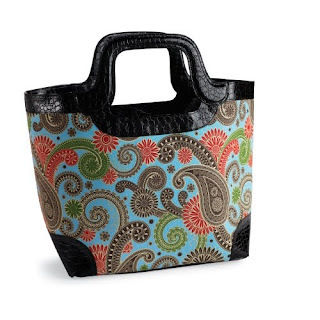 Check out these adorable beach totes - available in a variety of styles. 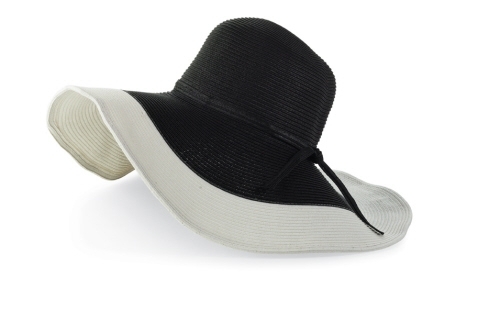 I like that they are sturdy and will stand up next to your beach chair for easy access. I'm also loving these new cover up tunics - comfortable and cute for covering up your bathing suit. And of course every girl needs a wide brimmed sun hat to protect your face from the sun. As we mentioned earlier, Razzberry Fizz carries Lilly Pulitzer items...and we are very excited that they have offered to give away not one...but THREE Lilly Pulitzer prizes to three very lucky Clemson Girl readers! So excited!! 1) Leave a comment on this post with your first name, last initial, and where you are from. 2) Become a fan of Razzberry Fizz on Facebook, mention it in your comment on this post, and get another entry. 3) Share this contest on Facebook, mention it in your comment on this post, and get another entry! 4) Tweet about this contest on Twitter - include a link to this post and mention @clemsongirl for another entry. 5) Email a link to this contest to two friends (and copy us --> clemsongirlblog@gmail.com) to get another entry. 6) If you have your own blog, write a blog post about this giveaway and leave a link to your post in a comment on this post to get yet another entry! That's a total of 6 possible entries you can get. Razzberry Fizz has really outdone themselves... big thanks to them for sponsoring such an amazing giveaway! Deadline for entries is tomorrow, Friday, Jan. 28th at NOON EST. We will compile all of your entries and randomly draw THREE winners and post the winners' names on the blog tomorrow afternoon. Winners have 48 hours to contact us or we will draw a new winner -- so make sure you come back tomorrow to see if you've won! Good luck ladies! Don't forget to visit Razzberry Fizz on Facebook - post on their wall and tell them "Thank You" for sponsoring such a generous giveaway! Will add to face book! I am now a fan of Razzberry Fizz on FB and I shared the link on my Facebook! I am already a fan of Razzberry Fizz! I also shared the link on Facebook. Fan of Razzberry Fizz on Facebook! I am now a fan of Razzberry Fizz on Facebook and I shared the link on my Facebook! Also became a fan of Razzberry Fizz on fb. Ashlyn H from Charleston, SC! I'm already a fan of Razzberry Fizz on Facebook and shared the link on my profile as well as my twitter! Love love love this store! We always have to stop by when we pass through. Always stop at Razzberry Fizz on gameday each time I visit Clemson. I am a fan of RF on facebook. 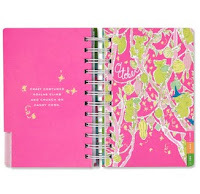 I love all things Lilly! Nicole A. Pendleton sc I am also a fan of razzberry fizz on fb! I'm a fan of Razzberry Fizz! I posted the link about the giveaway on facebook! I love all things Lilly and Razzberry Fizz is such an adorable store! I've gotten so many gifts for others (and myself) from there since they opened! Became a fan of Razzberry Fizz and Posted to my facebook wall. 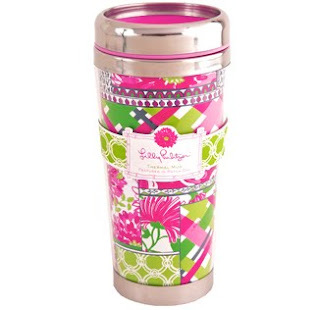 I Love Lilly...and clemson girl! I love Razzberry Fizz! These cute gifts would be adorable and perfect for my name real world job!!! 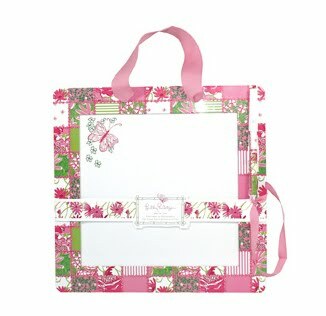 I love the giveaway, I am already a fan of Razzberry Fizz, love their stuff! I also commented on my FB page with the link. I also shared the link to the giveaway! I just left a comment on here but I forget to mention I am already a fan on Razzberry Fizz on facebook! - I shared the link on Facebook, too! Fan of Razzberry Fizz on Faceboook, and shared the link on my Facebook! Razzberry Fizz is a great store, I bought birthday presents for two dear USC friends, (we can't all be perfect) from the Fizz just so their gifts could come from Clemson! 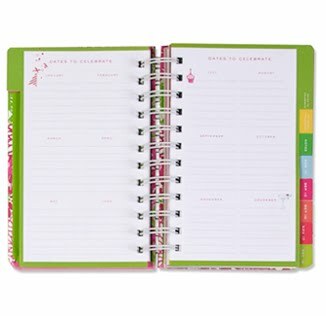 I am a fan of Razzberry Fizz on facebook! I have already been a fan of Razzberry Fizz for a while! It's the first place I go to buy gifts for any of my sisters or the other ladies in my life. I've shared on Facebook twitter, and email! Thank you for the into to a great site. I am already a fan of Razzberry Fizz on Facebook! I like Razzberry Fizz on Facebook. Tabitha T. Hartsville SC. I also became a fan of the Razzberry Fiz FB page. Tania F. Saint Stephen, SC. Fan of Razzberry Fizz! and shared link to this giveaway!! I'm also a fan on Facebook. I can't wait to check out Razzberry Fizz when I visit Clemson again. I'll like it on facebook too. Cute gift items! I love to shop at Razzberry Fizz when I'm in Clemson! I would love to have some of those Clemson memories in my new office in Florida! Haley H from Clemson SC! Liked it on Facebook & shared it. And tweeted about it! I'm now a fan of Razzberry Fizz on facebook and shared the link on twitter. What a great giveaway! I shared the giveaway on facebook, became a fan of Razzberry Fizz. and I like Razzberry Fizz on FB! Oh!! I hope I win!!!! I Love this stuff and I love Clemson Girl!!!! I also emailed two friends about this giveaway! I have been a fan of Razzberry Fizz on FB for some time now. It's a great shop to visit. I liked Razzberry Fizz on FB! Anne P.
I shared the contest on my FB page! Anne P.
Like Razzberry Fizz on facebook. I am a fan of Razzberry Fizz on facebook. I shared the link in my facebook status. If Brenda T. loves Raspberry Fizz then so do I! Love Love Love Rasberry Fizz!! Been a fan for a while on FB! I commented,liked RF on FB, and tweeted this link to all of my followers and mentioned Clemson Girl! 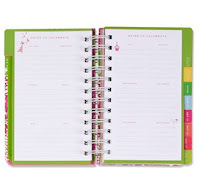 The agenda would be perfect for wedding planning this year! I did 1-4 and 6. Thanks love your blog and razzberry fizz! I love that Razzberry Fizz has something for all ages! It's my favorite store as well as my boyfriend's mom's favorite store! I love Lilly!!! I am also a fan of Razzberry Fizz! I am a fan of Razzberry Fizz! I shared the link to the giveaway! I shared the link of the giveaway! Brittany C. from Lexington SC. LOVE their stuff! So cute! and I liked on fb! tweeted and facebook official sorry i forgot to mention on my earlier post! Just became a fan on facebook! What great gifts! So cute! I am a fan of Razzberry Fizz already--their stuff is so adorable! Love Razzberry Fizz!!! Join now! 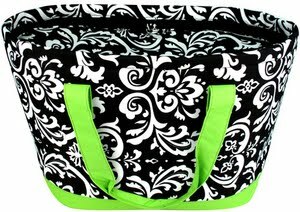 I am Tangila M. Bowersand want o be entered to win in the giveaway extravaganza!!! Love your website!!!! Love the Items! Sent you a Twitter Shoutout and will like on Facebook!!! Liked on Facebook!! love the stuff, it's super cute! Love this store when I come to Clemson,which isn't often enough! Became a friend on facebook!